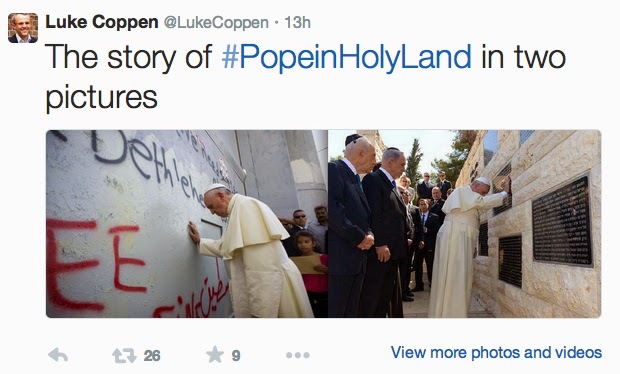 One of the stops Pope Francis made while at Mount Hertzl in Israel was at a panel with the names of 85 victims of an attack in Buenos Aires on a Jewish community center in 1994 (Victims of Acts of Terror Memorial). 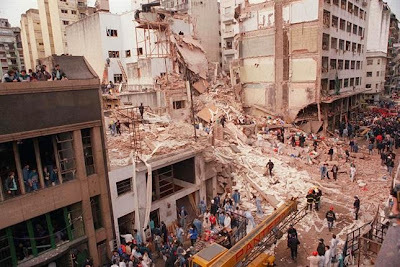 ... was Argentina's deadliest bombing ever. Argentina is home to a Jewish community of 200,000, the largest in Latin America and sixth in the world outside Israel .... Over the years, the case has been marked by incompetence and accusations of cover-ups .... In 2005, Cardinal Jorge Mario Bergoglio, who would later become Pope Francis, was the first public personality to sign a petition for justice in the AMIA bombing case. He was one of the signatories on a document called “85 victims, 85 signatures” as part of the bombing’s 11th anniversary. And in 2010 ... he visited the rebuilt AMIA building to talk with Jewish leaders. 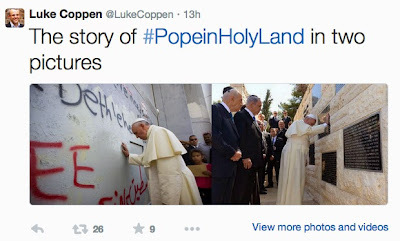 Some have opined a photo-op tug of war between Israelis and Palestinians, but given Francis' history with the AMIA bombing case, it's not surprising that he would want to visit this memorial. Crystal, right now all I can think of saying is that on occasions, it seems that we Christians are damned if we do and damned in some ways if we don't so what chance do we have? Thoughts of a Catholic convert nowadays can on occasions truly rattle Christian "Faith" when we see and hear of so much destruction in our times and it seems that there's nothing we can do about "IT". Let's all pray and hope that His Holiness Pope Francis will be able to convince leaders that we all need the help of GOD (Good Old Dad), His Holy Spirit, His Angels, Saints and all good spirits who have done and won GOD's confidence, otherwise what chance does humanity have when most of US (usual sinners) don't even know when we are actually sinning these days.